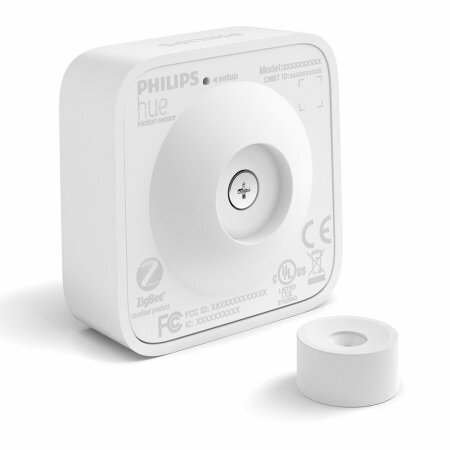 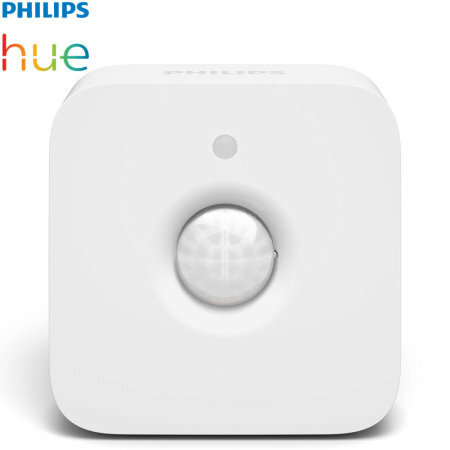 Add to your existing Philips Hue Hub with this official Philips Hue wireless motion sensor. 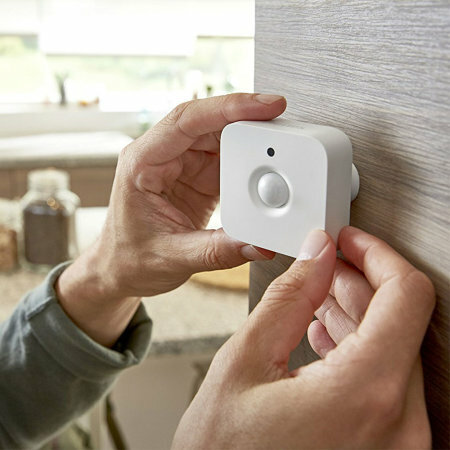 Trigger lights to come on when motion is detected, place almost anywhere with the magnet or screw attachment while also including a temperature sensor. 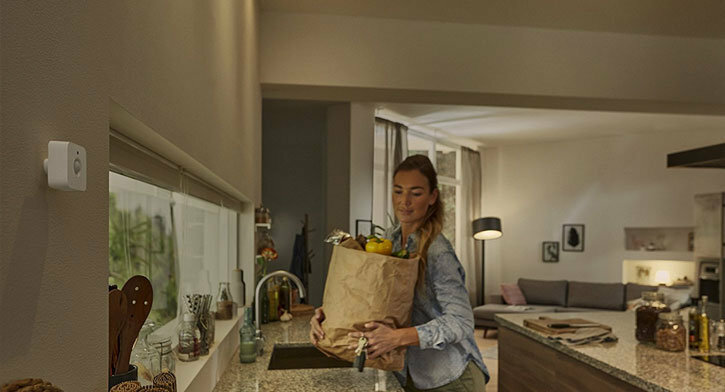 Expand the capabilities of your existing Philips Hue lighting setup with the Philips Hue Smart Home Wireless Motion Sensor. 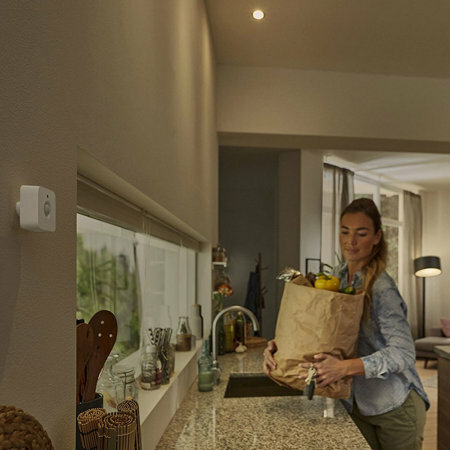 Trigger lights just by walking by the sensor, for effortless illumination - very handy when your hands are full of the light switch is not in a convenient position. 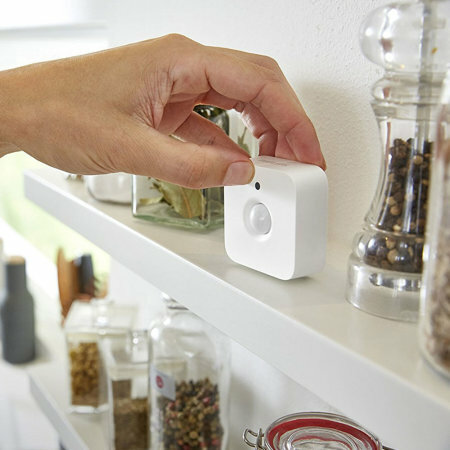 With the totally wireless design and powered by 2x AAA batteries (which last up to 3 years) - the Philips Hue Motion Sensor is super simple to install wherever you need it. 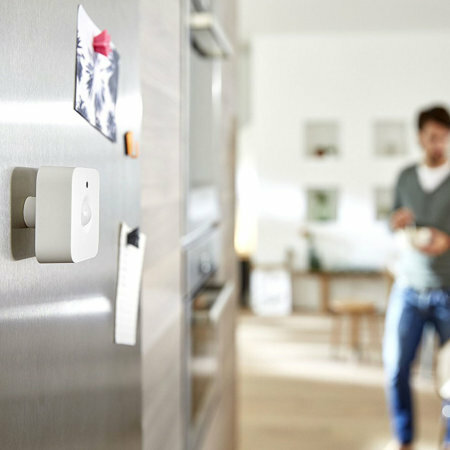 You have two options for installation... 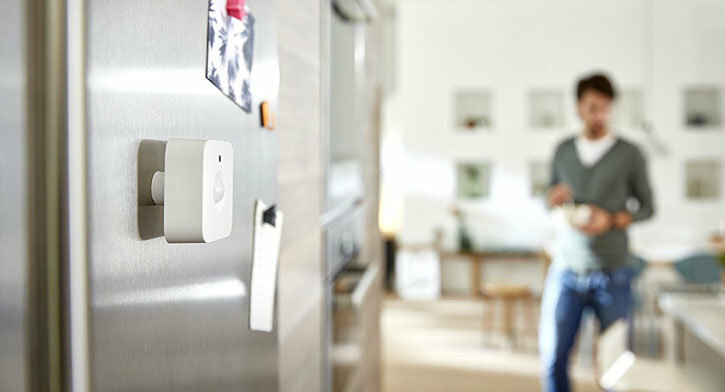 Either screw to the wall or use the magnetic feature to attach to a steel surface, all while being able to angle the sensor how you wish. 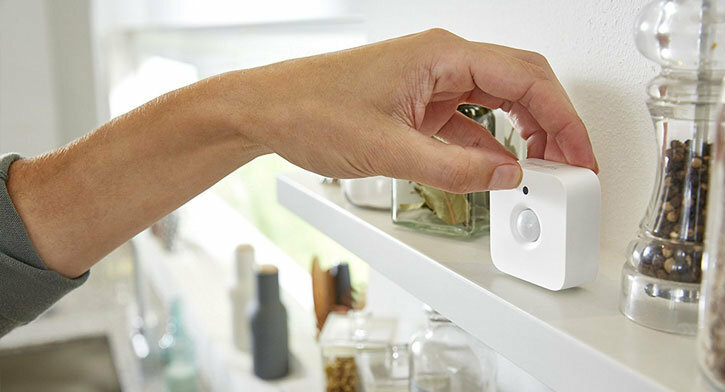 If you are running out of options, you can even place on a shelf, cabinet or other furniture for complete ease of use and versatility. 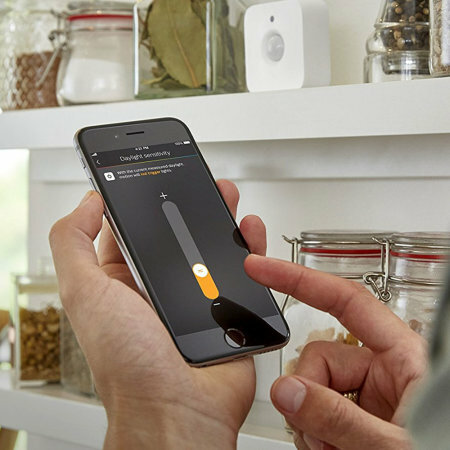 Within the free official companion app, you can adjust the lights to come on at night, but not during the day. 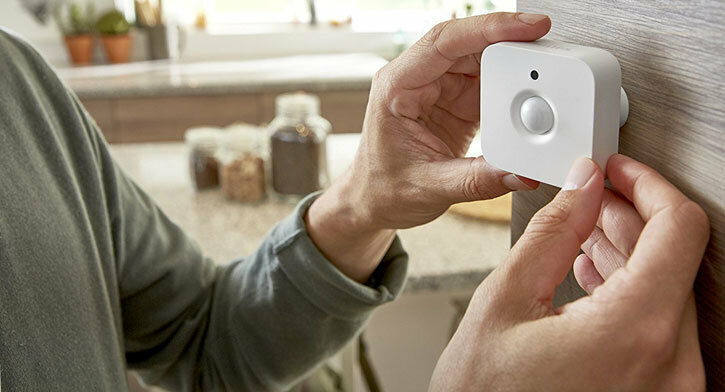 For full control, you can adjust the daylight sensitivity, so the lights come on exactly when you need them. 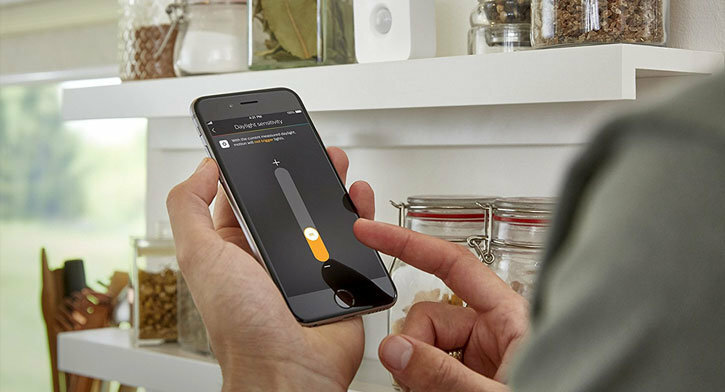 With the built-in temperature sensor, you can view the room's temperature the sensor is placed within using either the Apple Home app or the Philips Hue Labs section for Android users. 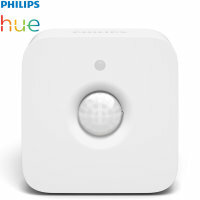 Using the free official Philips Hue app, you have complete control over which lights come on when motion is detected, the brightness and / or colour (with compatible bulbs) and how dark the room should be before the lights come on.